According to a release from the Health in Aging Foundation, nearly one in four adults aged 65 and older has trouble walking or climbing stairs–and 3.4 million older adults have trouble taking care of their personal needs, such as dressing or bathing. As we age, these difficulties can impact our well-being and our ability to live independently. Based on the proven health benefits of exercise for older adults, a team of researchers theorized that exercise might also help adults prevent or delay disabilities that interfere with independent living. The team designed a study to test that theory, and their results were published in February 2017 in the Journal of the American Geriatrics Society. 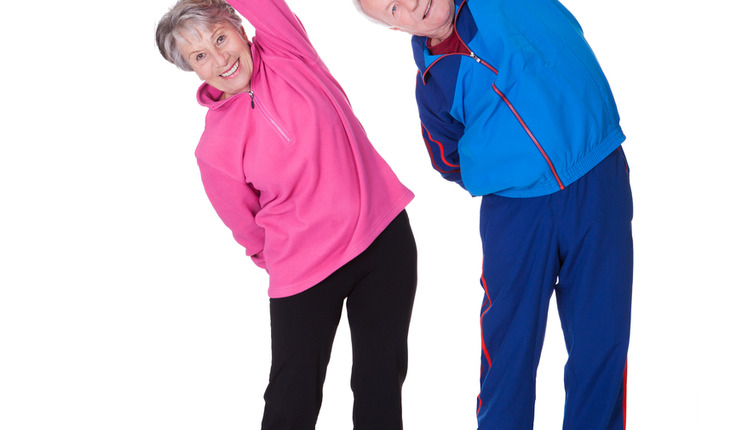 The researchers enrolled 1,635 adults between the ages of 70 and 89. All of the participants were at high-risk for becoming physically disabled. At the beginning of the study, the participants were able to walk about five city blocks (one-quarter of a mile) without assistance. The participants were split into two groups. One group was encouraged to exercise regularly. In addition to taking a daily 30-minute walk, they performed balance training and muscle strengthening exercises. The other group attended weekly workshops for 26 weeks, followed by monthly sessions. The workshops provided information about accessing the healthcare system, traveling safely, getting health screenings, and finding reliable sources for health and nutrition education. The workshop instructors also led the participants in 5- to 10-minute flexibility or stretching exercise sessions. Researchers gave all participants thorough tests for disability at the beginning of the study and then at 6, 12, 24, and 36 months after the study started. The researchers reported that people in both groups experienced about the same level of disability after the study. However, people in the exercise group experienced a lower level of severe mobility problems than did people who attended the health workshops.